Weird, impenetrable karst country, often described as an inverted egg-box, of pinnacles, humps and sinkholes, all clothed in dense jungle. Spanish slaves, released when the British arrived, removed themselves here and lived independent lives harassing the British, until granted autonomy in 1738. Their descendants still live here. Tough and humid walking in landscape that can be lethal (through collapse) if you stray off the path. A guide is necessary. 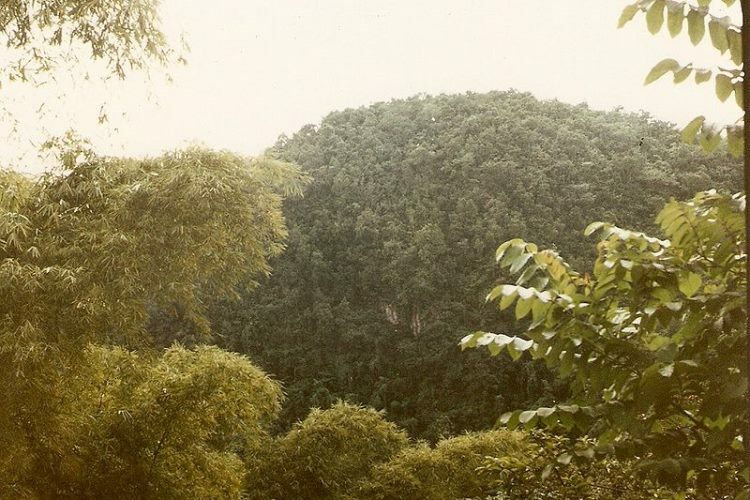 Jamaica's Cockpit Country is a landscape of weird, impenetrable karst, a geological phenomenon often described as an inverted egg-box. Water drains below the surface of the porous limestone, eroding underground caverns which can collapse into sinkholes at any moment. Dense vegetation covers the whole, disguising crumbling caverns and forming sometimes impenetrable barriers to walkers. 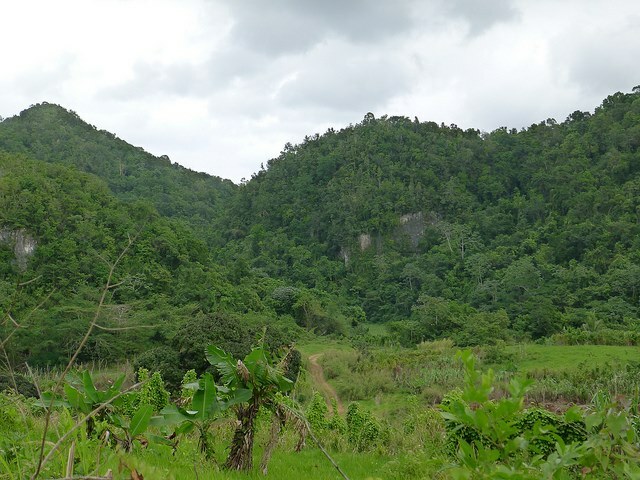 This is tough, humid walking, through country that can be lethal if you stray off the paths - and yet its enticing beauty and fascinating history continue to draw a steady trickle of tourists to explore this remote area of inland Jamaica. The curious cave systems which riddle the Cockpits, including 193m Smokey Hole Cave (the deepest on the island), provide an excellent opportunity to indulge in the thrills of cave exploration. When the British arrived in Jamaica in 1655 the Spanish inhabitants fled, and their slaves retreated into the wild inlands. These "Maroons" went on to live independent lives, making excellent defensive and offensive use of the difficult topography to harass the British, who were forced to grant them autonomy in 1738. Their descendants still live here. Exploring the edges of Cockpit Country is relatively easy, and short day hikes allow visitors a chance to experience some of the splendid scenery. There are only three possible routes which traverse Cockpit Country: of these the most used is the Troy-Windsor Trail, which follows the route of a British military road built in the 1700s, apparently in an attempt to control access to water in the region. The road itself, which cuts almost directly across the middle of the Cockpits, was an impressive achievement, both strategically and physically. However, it came at the cost of many lives and ultimately proved unsuccessful for the British, who in 1738 signed a peace treaty with the Maroons. Walking the Troy-Windsor trail now can take anything between 6 and 10 hours, winding torturously along the contours of the limestone hills. The road is overgrown and at times almost impossible to follow without a guide. The second possible route, the Quickstep Trail, runs 18km from Windsor to the village of Quickstep, from which hikers can either walk the return journey, or arrange for transport onwards. Heading into the southwest region of Cockpit Country, the place names begin to conjure up the strain and insecurity of the Maroon Wars: "Me No Sen You No Come", and "Land of Look Behind". Heading-Pantrepant, the final trail traversing Cockpit, is all but lost: there is an ongoing project to record its path (as of 2013), but it seems unlikely to become a viable alternative to the Troy-Windsor and Quickstep trails. There is no water available throughout this karst countryside, heat can be extreme and humidity is almost always very high; getting lost is easy, and the sinkholes can be deadly. Do not underestimate this lethal landscape: we advise a guide. Not only will they be able to keep you on the right paths, they will also be able to tell you more about the area's diverse flora, and intriguing history. Several non-profit companies heavily involved in protecting the area, and its ecosystem, offer guided tours and hikes as a way of bringing in some much needed funding. 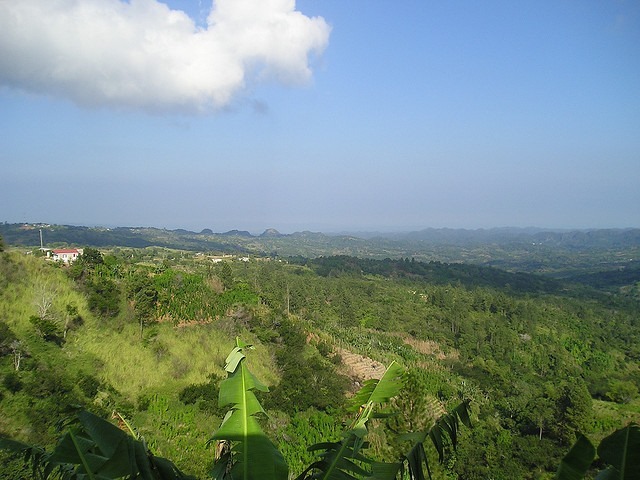 If you want a challenging walk, then Jamaican Caves Organisation appear to be the go-to guides; if you're looking for a more relaxed approach, then try Cockpit Country Adventure Tours. Prices are not extortionate for either company, and a day's outing is affordable on $50/£30 (2013 prices). In addition, any profit on the walks will go towards research and conservation in the area. With thanks to Rosie Pearson for first bringing this to our attention.